So here’s an excerpt from an interesting article that showed up in my inbox today. The rest of the article goes on to discredit a study conducted by others who had a different definition of the dependent variable, blah blah, so I omitted that. My main takeaway from this excerpt is this: you could have a high or low BMI, but what really indicates risk factors for future ill-health are other markers, such as those typically associated with Metabolic Syndrome or Syndrome X. 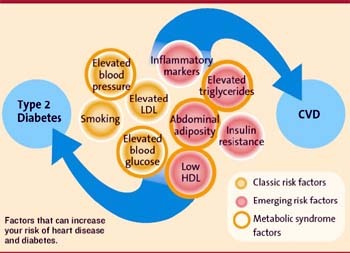 Stage 0 is essentially people with no apparent risk factors as shown in the diagram below. ​I am so glad he had this surgery! So if you too have succeeded in getting your labs back to normal on these measures as well as the ones listed below, no matter your BMI, you have decreased your risk of dying significantly. I know we all talk about getting this surgery to save our lives, but these measures make it concrete what risk factors we have now decreased. Which of these markers has improved for you since the surgery? Are you now noticeably healthier than before WLS? Regular readers are quite familiar with the concept of the Edmonton Obesity Staging System, which ranks obese individuals based on how “sick” rather than on just how “big” they are. To be at Stage 0, obese individuals have to be not only free of any medical abnormalities (e.g. in their labwork) but also have no associated impairment of mental health or quality of life – in other words, Stage 0 = healthy – end of story! We have previously shown that Stage 0 obese individuals, even with a BMI Of 40 or greater, have virtually no increased risk of dying even over a 20 year period.